The small developer I-Novae studios are doing a kickstarter for their space battle sim Infinity: Battlescape (used to be called Infinity:The Quest for Earth). 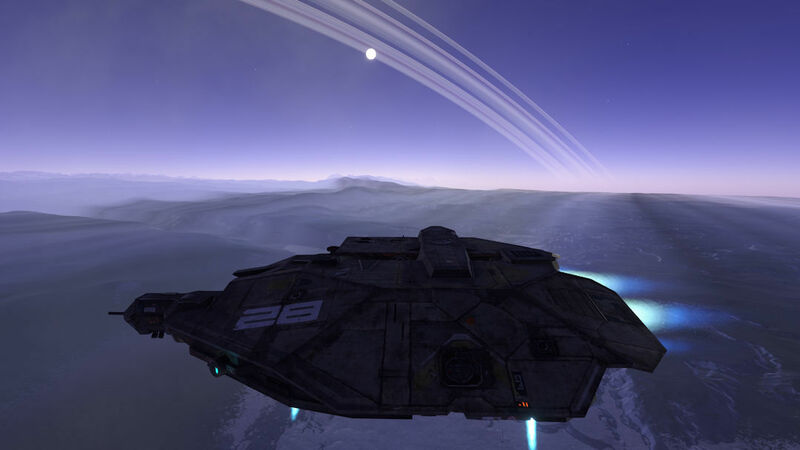 Their game uses very detailed procedural generation with full planets, moons and gas giants in one large solar system. With totally seamless transitioning through planetary/gas giants atmosphere's. Land anywhere on a moon or planet's surface. Fly low through Cynon and valleys whilst dog fighting or escaping. 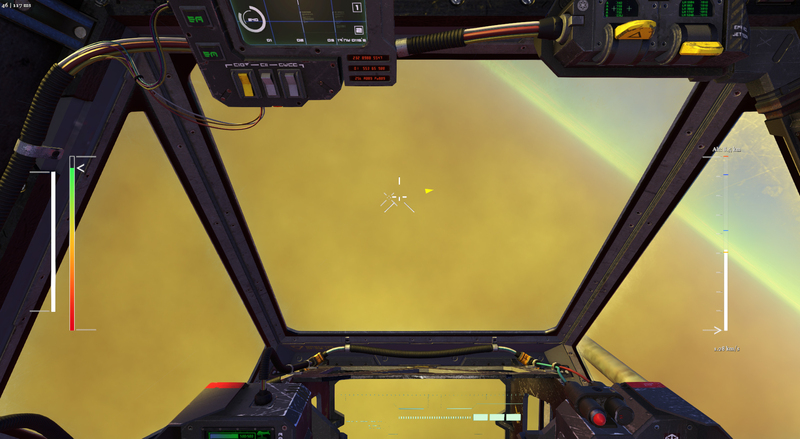 Dog fight as your fly through a planetary atmosphere or cloud layers of a massive gas giant. What they have right now is a fully working prototype (for media and streamers to access), not even pre alpha. And using a lot of prototype assets. In my opinion, So much more detail and polish will be added the dev's have said. Two years of heads down development to go. the procedurally generated planets, moons and layered atmospheres will have a lot more 'math' and algorithm work done. 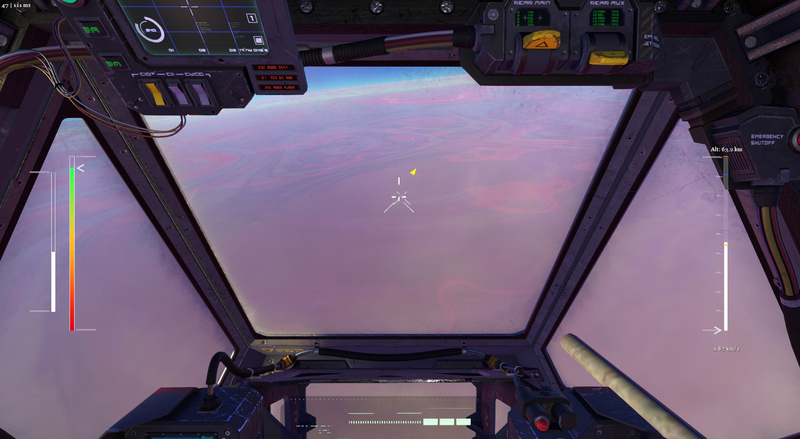 The cockpit will be greatly refined for the many various ships. The atmospheric entry effects (physics) of heating and types of different plasmas will be added. 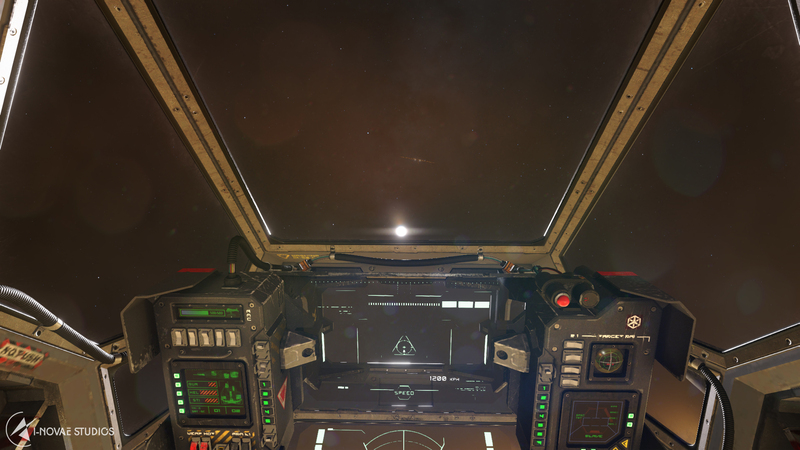 I gather if your ship cockpit is damaged then a heavy atmospheric entry might run the risk of a hull breach. The flight models will be quite different for space flight, atmospheric entry flight (the various types of upper atmospheres). And the types of ship, for example the ship in the prototype we see in the videos is more like a flying wing, with other ships being more suited to in-atmosphere flight than others. One can also dog fight with other ships as one enters or exits the atmosphere of a planets of moon or even a gas giant. With the deeper layers of cloud in a gas giant posing serious pressure and other harmful storm and lightning damage on the the ships. And potentially large battles in space just above planets surface, with larger ships and weapons fire could be seen from the planets surface. Again all polish and further development that another two years or so will bring to the game. It's certainly going to be a very interesting time for procedurally generated space games over the next 2-3 years, for all four games, ED, SC, No Man's Sky and Infinity:Battlescape. Although I think it's a bit too early at this point to say one way or another what Star Citizen will deliver with regards to PG. 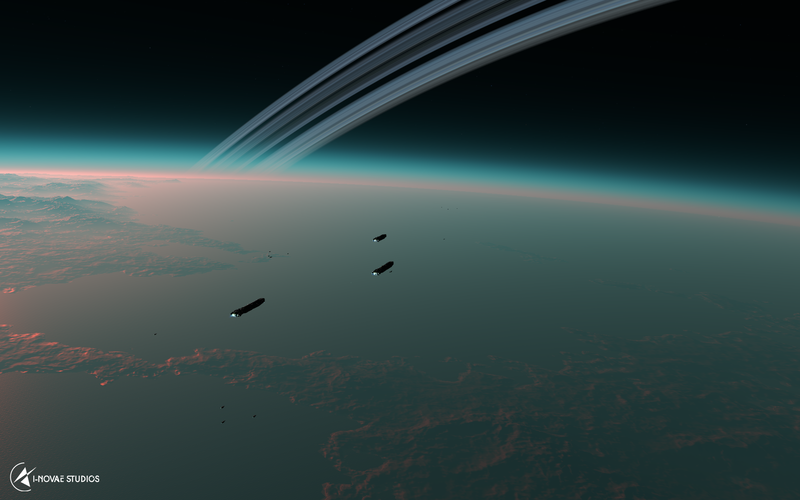 Elite with New Horizons and then onto season 3 with atmospheres looks to be very good indeed. Each game with there own unique take on PG (Procedural generation). 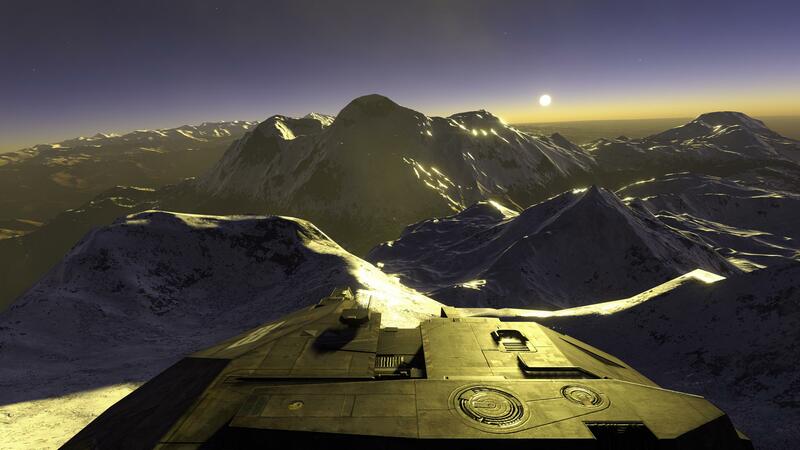 Scott Manley has made a video reviewing the Infinity:Battlescape prototype. He demonstrates the totally seamless way one can transition a planets atmosphere. It is a very interesting time right now for seamless space to planet transitioning. Certainly the next few years with ED's season 3 will be a good thing to look forward to. And I think it's a little too early to say one way or another as regards to Star Citizen, and we know almost nothing about their PG plans. I-Novae Studios: the engine was in development many years ago. But only by one person in his spare time as a hobby project. We only started as a company in 2010, and got to this point without funding. We're absolutely committed to this game and everybody seems to love the prototype so far. There is already gravity based orbital mechanics in place. That being said, every ship has enough thrust to make orbital mechanics completely unnecessary, although you could still use such methods to manoeuvre if you wanted. Entering the gas giant. There a currently two layers of gas. One is moving very fast (a little noticeable from afar) the other one very slowly (almost noticeable from afar). The closer you get the faster they are, this gas giant is really huge. Inside the deeper layer. 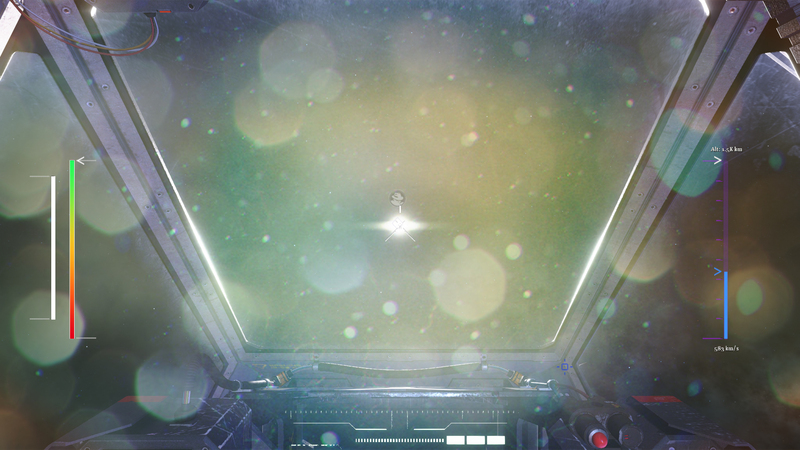 There are already particle effects in place. Hutchings - Developer/Artist - 30km station, hovering above a new WIP planet. Keep in mind, the asset was produced primarily for the campaign trailer, and is not an indication of final quality, but rather should be taken as an example of what's possible with the tech we've built. Additionally, it is situated just above the rings, with the central tower crossing through the rings below. A sort of transfer station for extracted or refined goods. Today on Rethe prime, lovely clear skies and brisk 350kph winds. As some of you may have already guessed this, but we're still adding content to the Prototype. Many will recognize the station from the 2010 tech demo video. Now an abandoned Astralis outpost in a SFC controlled system... it lay quietly in a low orbit around the Gas Giant, just outside the massive planet's atmosphere. 4 Corvette class ships "Hellions" investigate. Big! 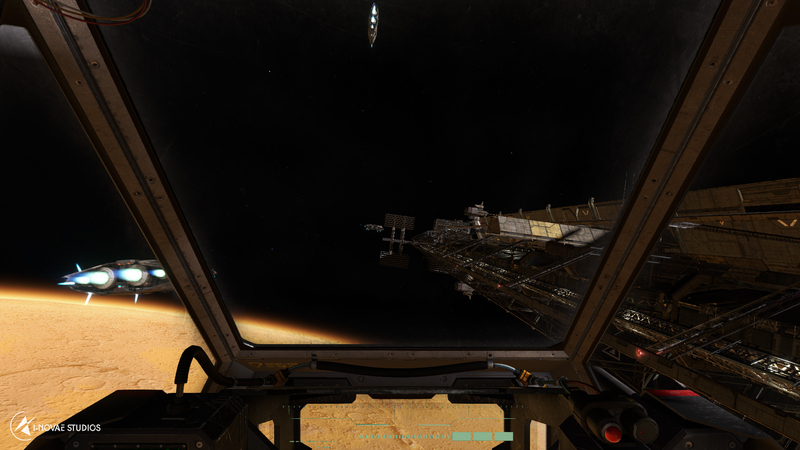 space is really big in this game. One solar system @1:1 takes some time to get around. You may get a good ballpark from the apparent respect of real planet sizes. So the gas giant is probably something like Jupiter @1:1 scale, or smaller. Dwarf gas giants are at most "just" 4 Earth radius, and the upper bound for gas giants is basically Jupiter size (gravity quickly limits larger volume). 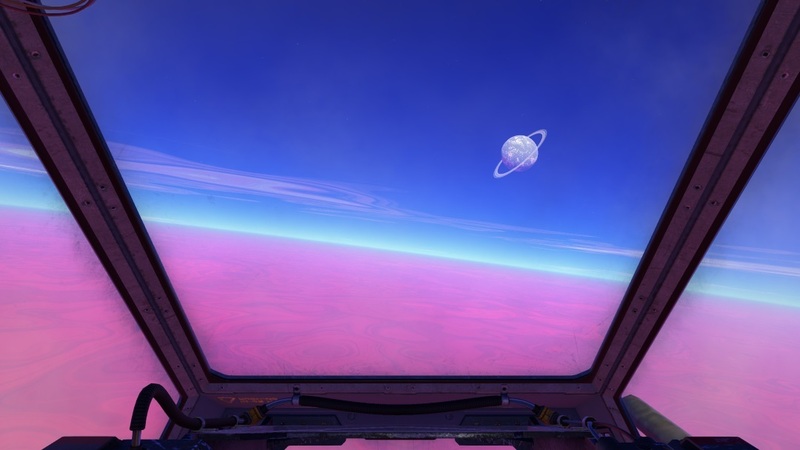 I reckon it's a safe bet that the current pink gas giant is somewhere in the range of our own gas giants @1:1. Somewhere between Jupiter and Neptune/Uranus. "There's going to be a lot of variety in environments on planets even in the base goal." "Wind is already in, but tornadoes, volcanoes that eject rocks, lightning in gas giants ( that could randomly hit your ship ), or even better: a periodic stellar flare that would damage any ship not in the night side of the planets closest to the star. Those are a few ideas that we're playing with. But yeah, as you can see there's potential." 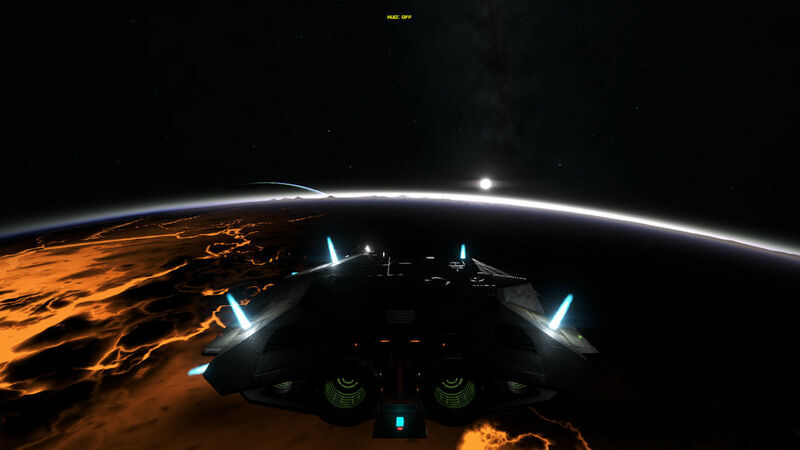 "I've seen many people play for 20-30 hours in the prototype so far, simply flying around and exploring. Doing nothing at all." "And that's with 2 planets ( err, moons ). The final solar system will have dozens." There will be additional effects for both warp speed and for atmospheric entry, and it IS dangerous to be going warp speeds in the atmosphere for too long, though it seems also as if auto-assist will automatically turn off your warp drive before you take damage from the atmosphere. And the dev's have some ideas for gas giants such as putting 'Bespin style' floating factories in the cloud layers of gas giants. transition down and up from these places. 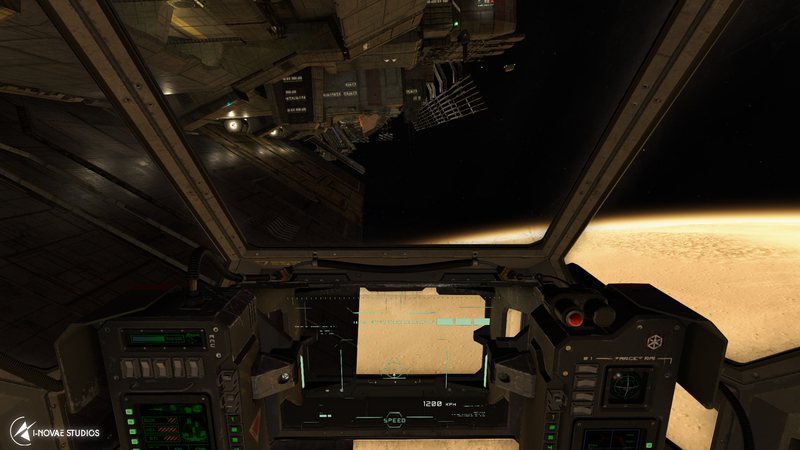 With Gravity and pressure effecting the ships. The effects we expect to see and experience after two more years of development. "We'd like to spend a lot more time making gas giants awesome" -game devs. As far as I know your be able to fly down through the various cloud layers to floating factories and outposts floating between the layers of gas giants. This is already implemented for the release. The more funding means more of these cool game features like Volumetric clouds in addition to what's already implemented in the final release. The prototype your seeing in the live streams is all mostly place holder assets. Another two years of heads down development will produce so much more detail to these features. There is already gravity based orbital mechanics in place. The marks on the speed bar is the orbital velocity. That being said, every ship has enough thrust to make orbital mechanics completely unnecessary, although you could still use such methods to manoeuvre if you wanted. Some more information on the semi-persistent stretch goal. The $1.5 million stretch goal is to make Battlescape semi-persistent with the opportunity for players to build infrastructure. You will be able to place new space stations, planetary bases, and factories. Space stations will come in two different sizes: large and small. Both small space stations and planetary bases can spawn small to medium sized spacecraft. 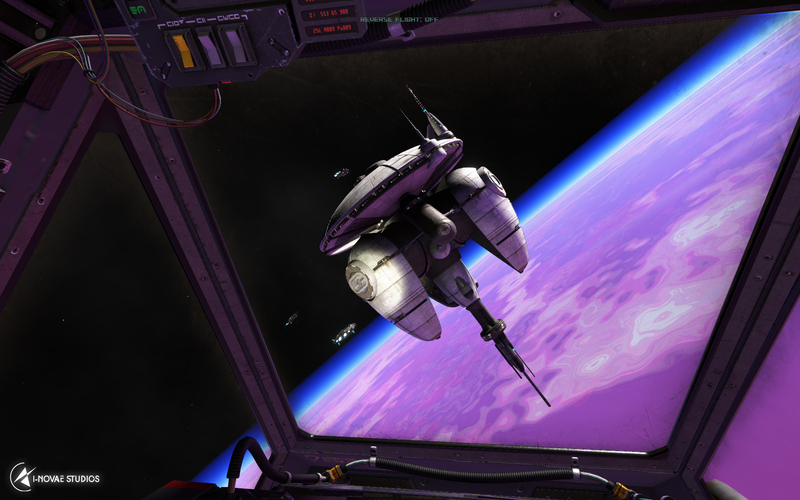 Large space stations will be the only entity in the game capable of spawning, rearming, and refuelling capital starships. Buy powerful new ships and weapons for a better offence. Build more space stations and planetary bases so that you can spawn closer to your objectives, be they offensive or defensive in nature. A video of transitioning from space, out by the planetary rings, flying through the rings and pretty much belly flops right onto the planet's surface. Remember the prototype your seeing here has a lot of place holder assets and effects. It will become so much more. 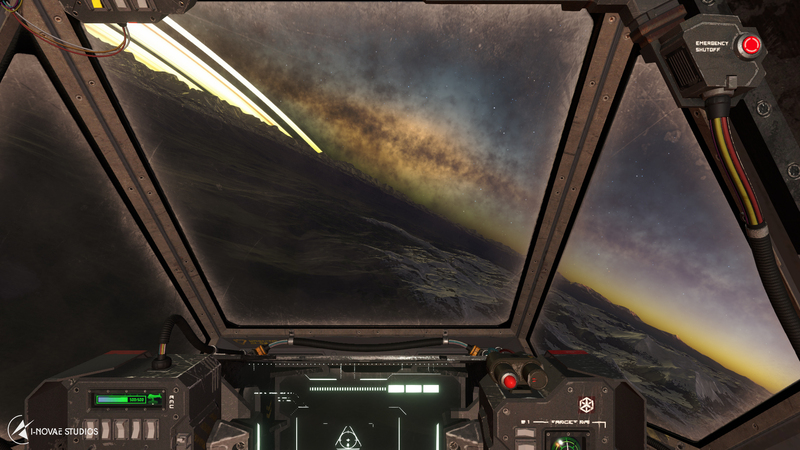 The current 2015 kickstarter prototype which is available to the media and streamers is a small snap shot of some planets, its rings and a derelict space station. @ 1:1 scale. So it takes time to reach places. Space is really big. And another transitioning from a planetary surface dogfight over a mountain range right up through the atmosphere into space. And then into warp to escape the enemy fire. A smaller and more deliverable goal for the development team is something they are keen to put across. I was one of those wanting the original game idea but this new reduced scope is still something worth backing, even at the lowest pledge level. The engine is pure digital art! 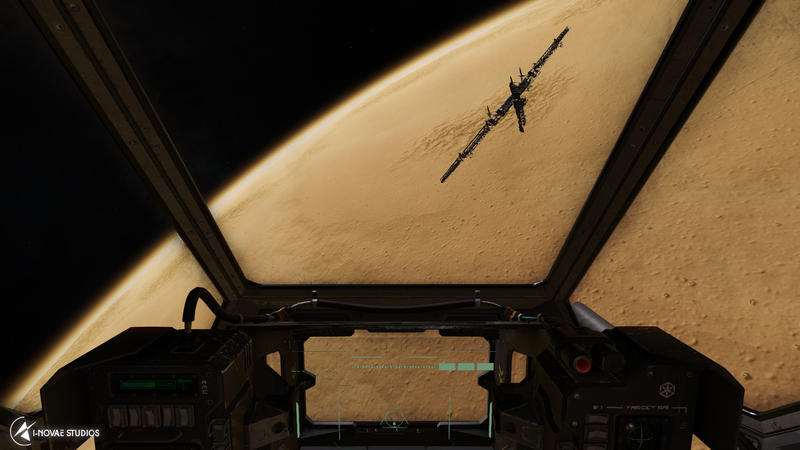 Seamless interplanetary warfare across a procedurally generated, true to scale solar system. Dozens of planets and moons to explore and fight over. Volumetric clouds and atmospheric effects are in the $600,000 stretch goal. Volumetric clouds are rather computationally expensive, especially when you're using ray scattering models like I believe the I-Novae engine uses for its atmospheres. Keep in mind that those sky colours you see in game are calculated using physical scattering models. It's not just setting a sky colour. There's actual physics being done. Gas giants - Already implemented. Gas Giants - floating factories and outposts floating in the cloud layers. Gravity - Implemented. You can already freely orbit planets in the prototype. The surface gravity of gas giants isn't that impressive, though. Even Jupiter's surface gravity is only a little more than 2x that of Earth's. Atmospheric drag is already implemented. Weather would compound that. Again, that's the $600,000 stretch goal. 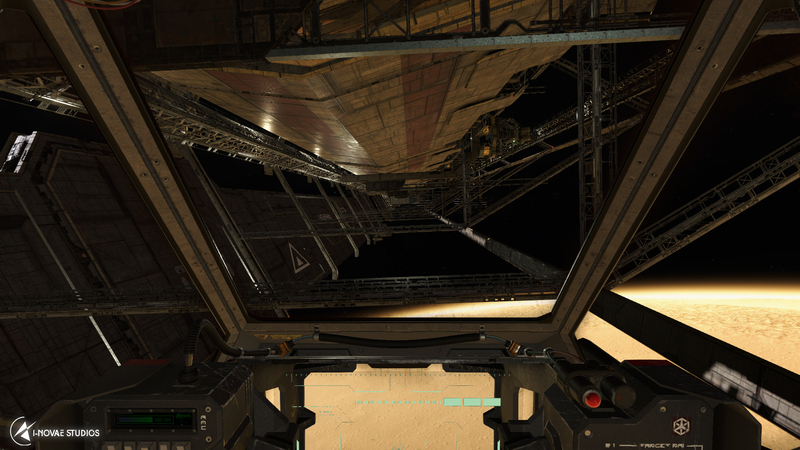 From station fly-through, then onto crater scared desert planet surface. 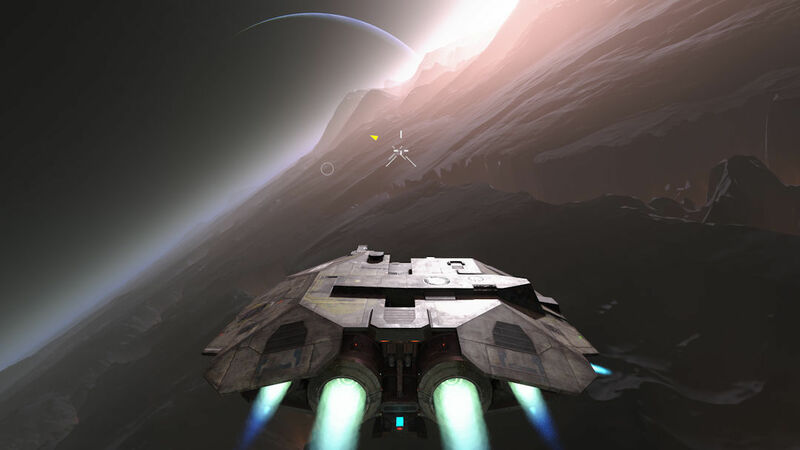 Discover Infinity: Battlescape for yourself - The engine is pure digital art!